Seized to the racquet, it has been completely restored by the City of Rome in order to create a new cultural space dedicated to the Cinema and to the Visual Arts. Thanks to its restoration, a cinema with three halls on three different levels has been obtained. 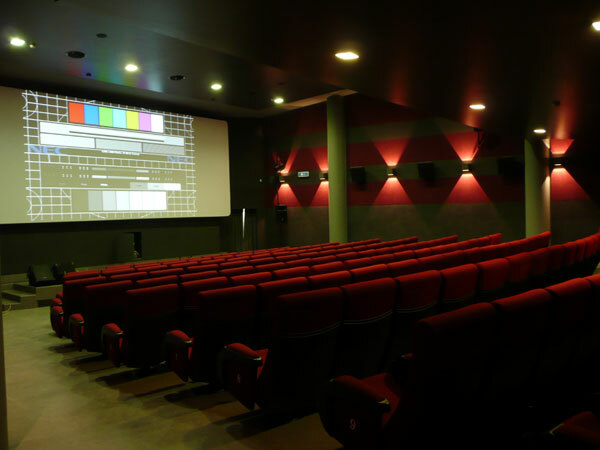 It meets the most modern standards such as to offer to the audience a technologically renewed cinema, very comfortable and enjoyable. We have carried out in the three halls, the movie, public address and video shooting systems.